We focus on the best possible build standards in small, quality developments. Our most recent project has included a new cafe at Bedgebury Pinetum, take a look at our other projects too. Based in Maidstone, we aim to provide quality focused developments across Sevenoaks, Tunbridge Wells, Maidstone and the surrounding area and offer earliest stage drawings, consultation and advice all the way through a project to its completion. Established in 1996, we have over 15 years of experience as a company and offer a wide variety of services for the customer. Our team here at Highpoint Developments Ltd features a wide range of skilled tradesmen with specialist certifications like NICEIC to carry out utilities work on electrics, gas and water. Our highly experienced foremen oversee all our projects and ensure the team brings exceptional quality and services standards to every job. We are also fully liability insured and regularly consult a health and safety expert to ensure our policies are effective and that staff are fully aware of their responsibilities and best practices. All work is undertaken under contract including payment schedules and project timetables for your assurance and protection, and we have many satisfied customers. 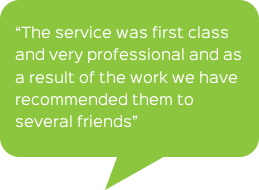 You can view comments from some of these on our Kent testimonials page here. You can find full details of all our services on the pages of this website and we welcome enquiries on any of them. Please don’t hesitate to contact us today to discuss your requirements and arrange for a survey and quotation.